Outgoing commissioner Rajeev Kumar was at the centre of the recent controversy over the investigation into the Saradha chit fund case. Kolkata: In a major shuffle in the IPS cadres, the state government has appointed Additional Director General (ADG) of West Bengal Police (law and order) Anuj Sharma as the new Kolkata Police Commissioner, replacing Rajeev Kumar, a government notification said on Tuesday. Kumar, who had completed three years in office as the Kolkata police chief, was posted as the ADG of the Criminal Investigation Department (CID), it added. 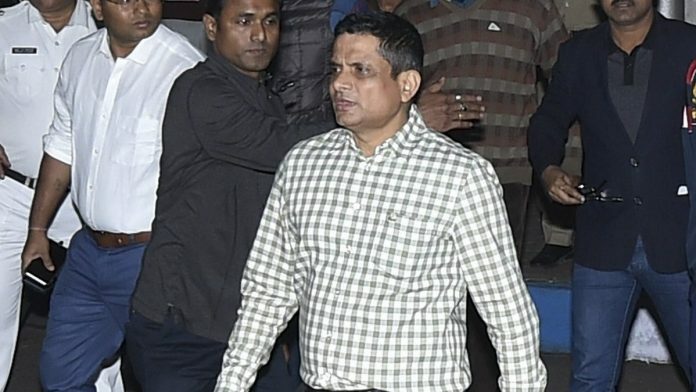 Kumar was questioned by the Central Bureau of Investigation (CBI) in Shillong for five days after the Supreme Court directed him to appear before the agency and cooperate in the investigation of chit fund cases. The notification also said Sharma had assumed his new responsibilities. Siddh Nath Gupta, who was the ADG (IB), was made the ADG (law and order).